Observation notes: Found on the sunlit Laguna Meadows Trail at approx 6,000 ft elevation. Two were seen. 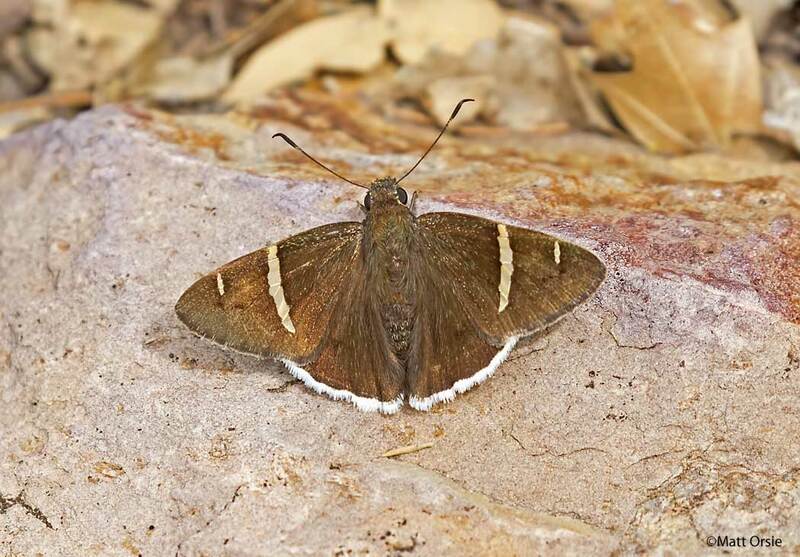 Forewing band narrow when compared to Golden-banded Skipper and has white hindwing fringe.